Every meeting is a once-in-a-lifetime encounter. Ichi-go Ichi-e (一期一会 ) is a concept from Japanese tea ceremonies. In Japan, when individuals gather for tea, it is understood that the same people may meet again and again, yet the tea would never have the same taste twice, and the resonance or the atmosphere of the group would not repeat. Whether this is your first time at Shima or you are an old friend, we are honoured to share this moment with you. We may have already met you many times at Shima, and will meet you again in the future, every time we come together, it is the most important gathering with you. With this understanding, we invite you to immerse yourself in the many offerings available here. 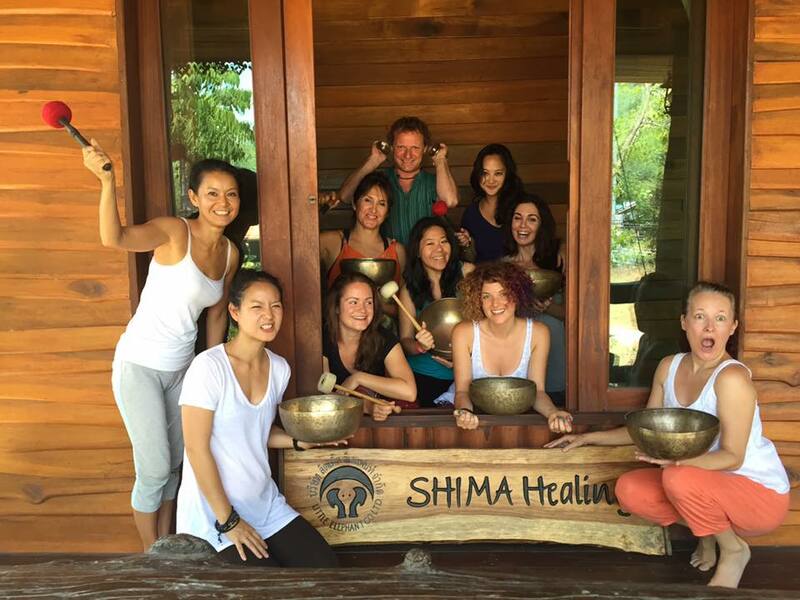 Experience Shima Healing: get an idea of what it's like to do a training with Shima, take a look at Shima's facilities, read testimonials from our students, and see our partner network. to the world of healing, you will find great treasures and enjoyment in the courses. 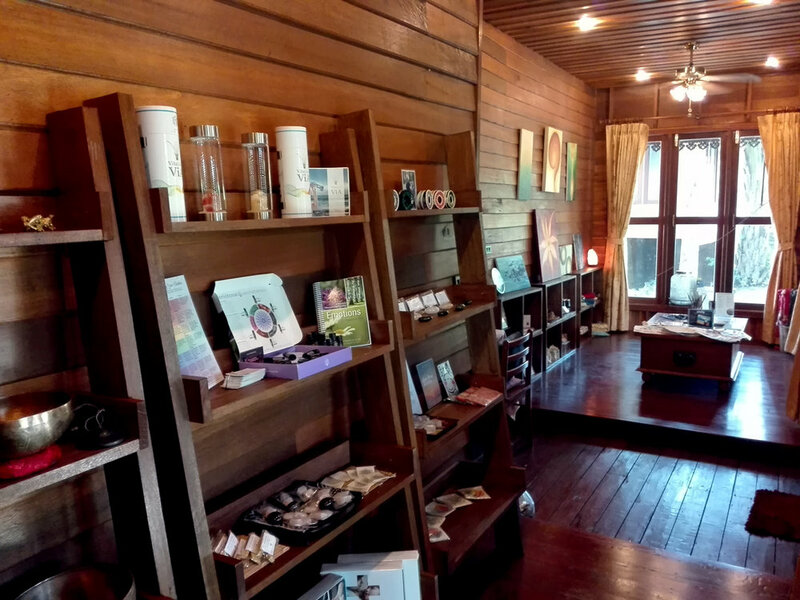 Shima Healing is located in the heart of Tha Khao village on Koh Yao Noi, away from main area of the town centre and just a short walking distance from Tha Khao beach, where a handful of restaurants and accommodation can be found. The heart of your Shima experience takes place at the purpose-built Shima Dojo. The Japanese word Do (道) means “the Way”. Jo (場) means place or venue. Every dojo is a space for self reflection, realization and self empowerment by walking the Way. A beautifully timber-lined Dojo where we practice “the Way”, equipped with air-conditioners and fans, large windows and sliding doors. A full-length mirror is lining one side of the room, perfect for yoga classes or dance training. There also is a separate therapy room for private treatments or practice sessions. 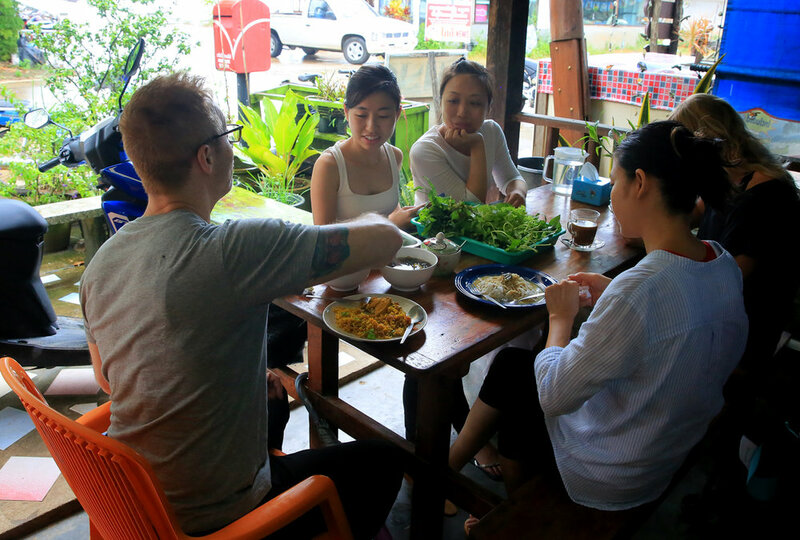 Outside Shima we have a gazebo surrounded by greenery, where Thai desserts are served during breaks and local herbal juices can be enjoyed. The sitting area shaded by canvas drapes is perfect for journaling and reflections before or after classes. In front of the building, there is the Shima community noticeboard with up-to-date information on events happening around the island and activity suggestions. We look forward to welcoming you to our island paradise and to accompany you on your personal evolution. “(….) Used for thousands of years by Tibetans as a way to promote relaxation, mental clarity and healing, a set of seven Tibetan singing bowls (each made up of an alloy of seven different metals and with its own unique tone to correspond to the seven chakras) are struck or rimmed to produce different sounds and vibrations. The Shima Healer Within is very informative and practical. 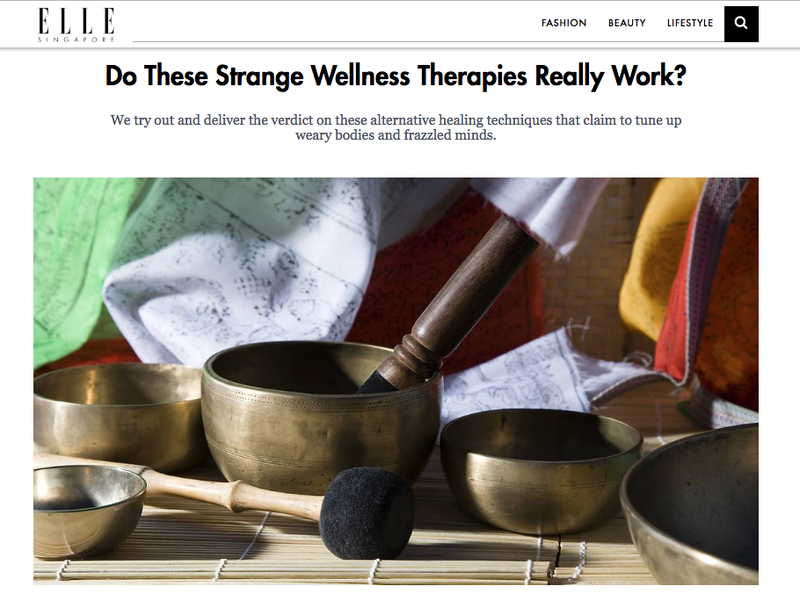 For whatever reason, I was expecting that this course would be mostly for using the sound of the Bowls during meditation. However, the lessons on how to use the Bowls on and around the body was much more interesting. It was a beautiful journey. Akiko inspires you to go even further and to continue learning more. 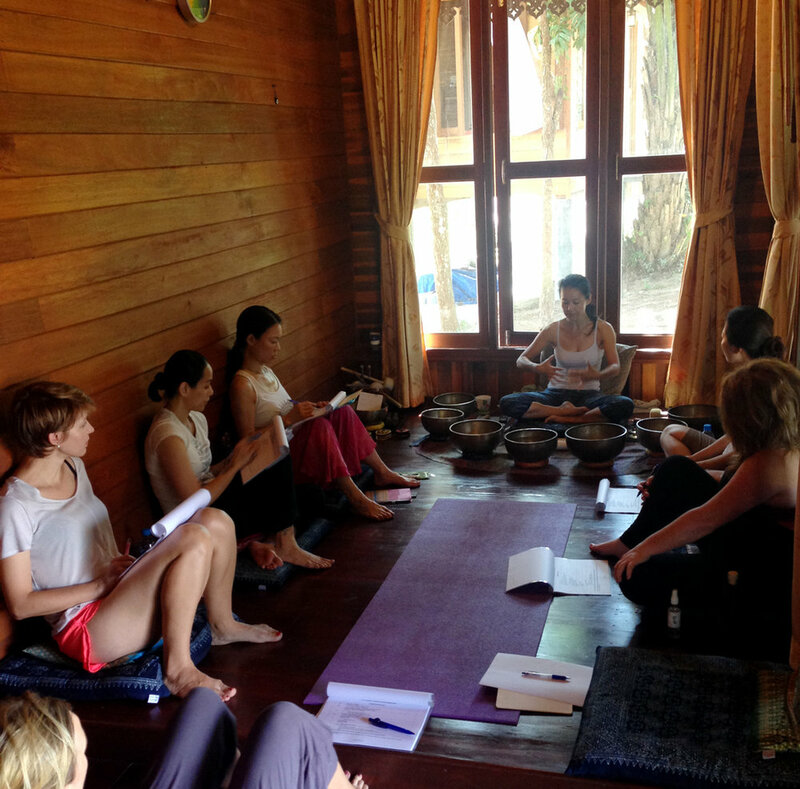 It was an immersive experience with a lot of practical practices to have your intuition and techniques as singing bowl practitioner. 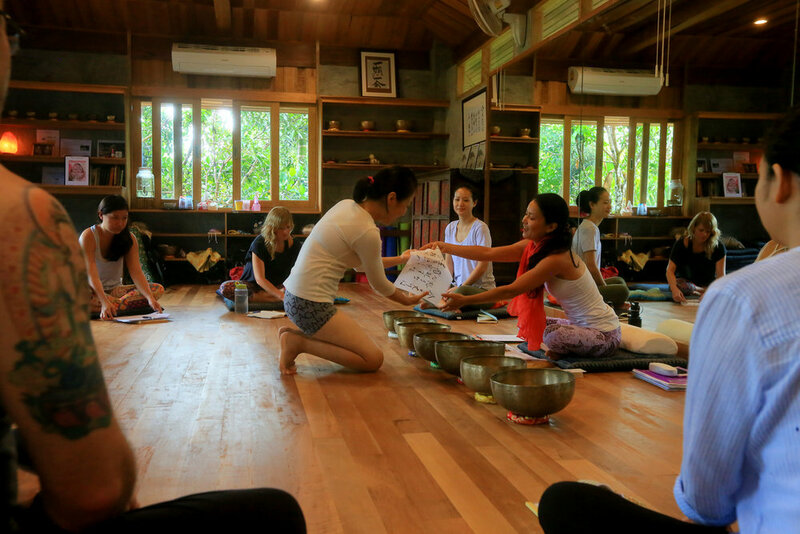 Much thought and care is given to how the course is conducted so that we can understand the nature of singing bowl therapy and be able to practice it in a safe and responsible manner. 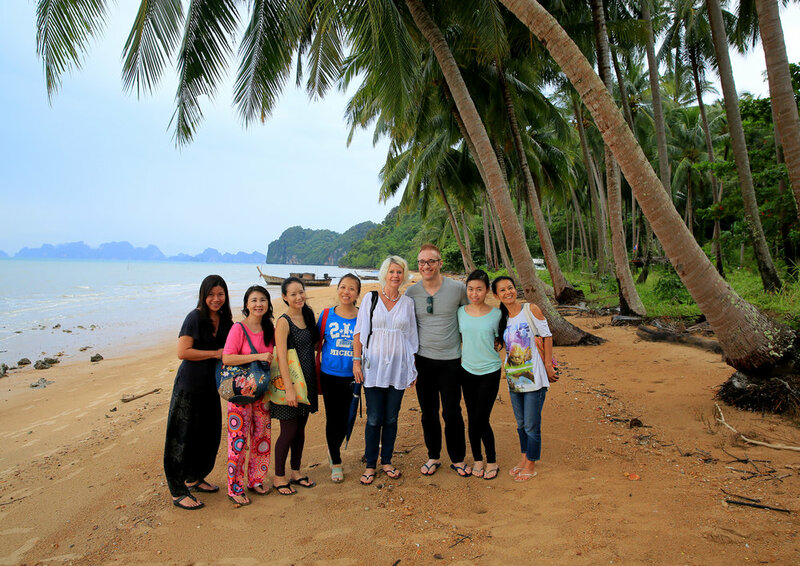 Overall, it was a cool retreat set on an island with awesome people and rustic charm. Perfect place to heal, learn and recharge. 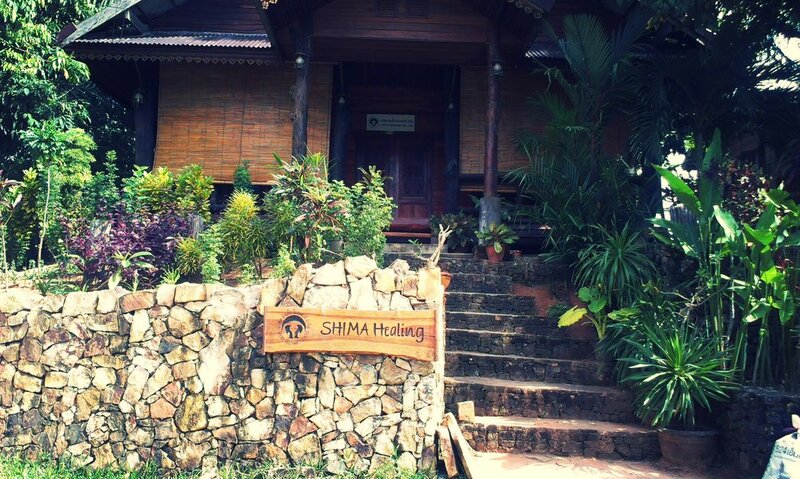 Shima Healing Institute choose the perfect location for this kind of energy work. 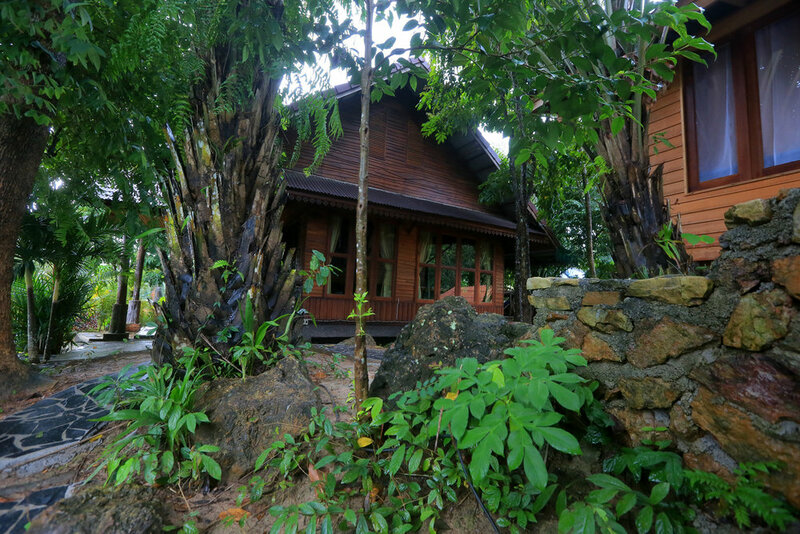 Koh Yao Noi is a place close to nature and people are happy with their simple way of life. It is easy to tune into this. The atmosphere during the course and the deep knowledge about the bowls and compassion of teacher Akiko is a perfect combination and made this week a very special time for me. Thank you. I learned a lot. 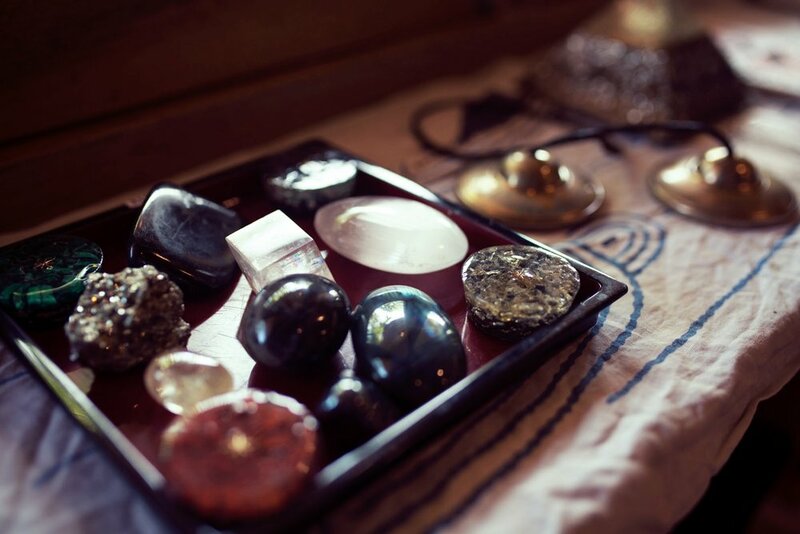 I have been practicing and teaching Reiki for more than a decade. I had never heard of Komyo Reiki until I met Akiko 6 years ago. I found her passion and quest for the history of Reiki refreshing and infectious, and decided to learn Komyo Reiki with her. I can only say I am grateful beyond words for the opportunity to learn from a master like Akiko. The content of this workshop are way more than just theory and practical training combined. No man is an island. Neither are learning institutions and organisations. Around the globe, Shima collaborates with healing and teaching centres to provide the best in class instructions to those who seek change. We all share similar philosophies yet take very different paths. 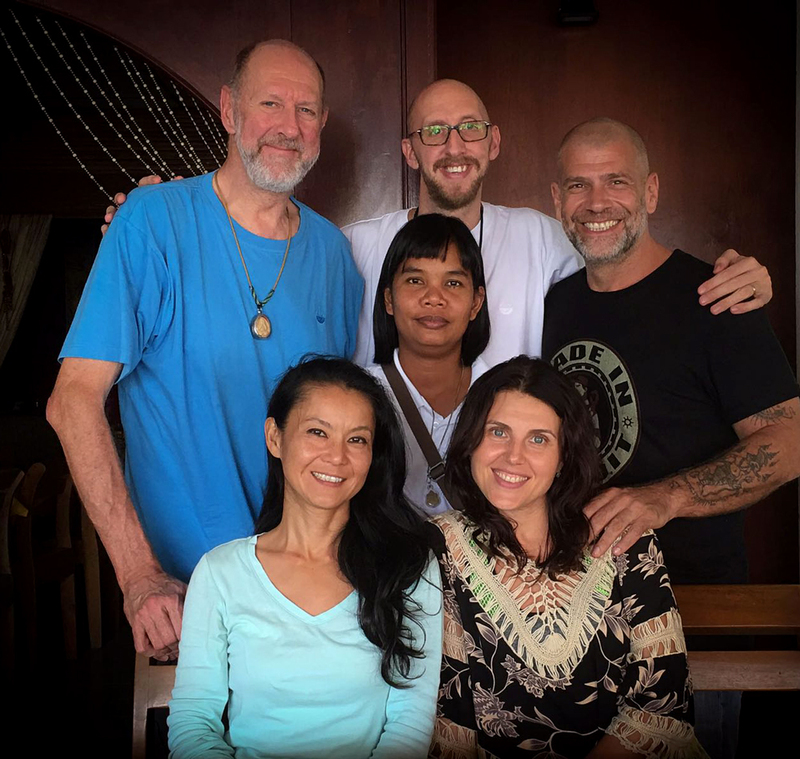 As a collective, we are committed to total integrity and upholding the highest standard in healing and education. Below is a short list of Shima Healing’s partners. mission is to demystify meditation, make it more accessible, and approach mindfulness in a scientific way.